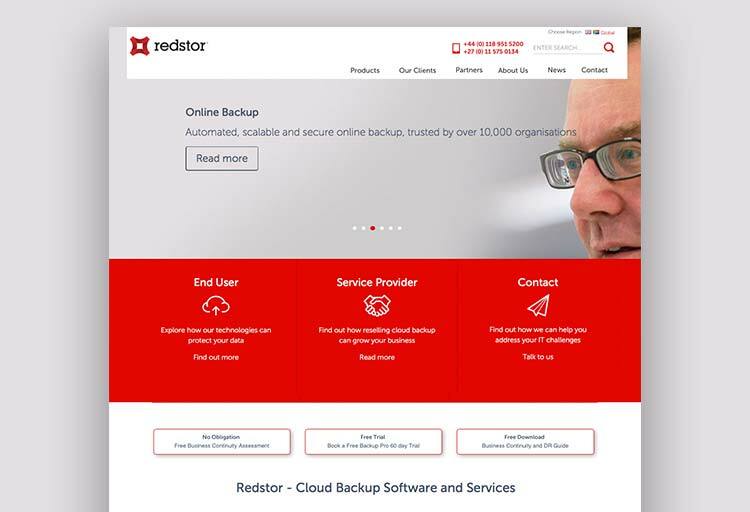 Redstor | Datasouth UK Ltd.
Redstor is an ISO 27001 and ISO 2001 certified global provider of cloud backup and disaster recovery software and services. It is headquartered in Reading, England. It has been in the forefront in the field of secure cloud IT services with proven technical excellence. Since its inception in 1998, it has helped over 10,000 organisations from different industries, in almost all geographic markets, from both private and public sectors. What we did for Redstor? 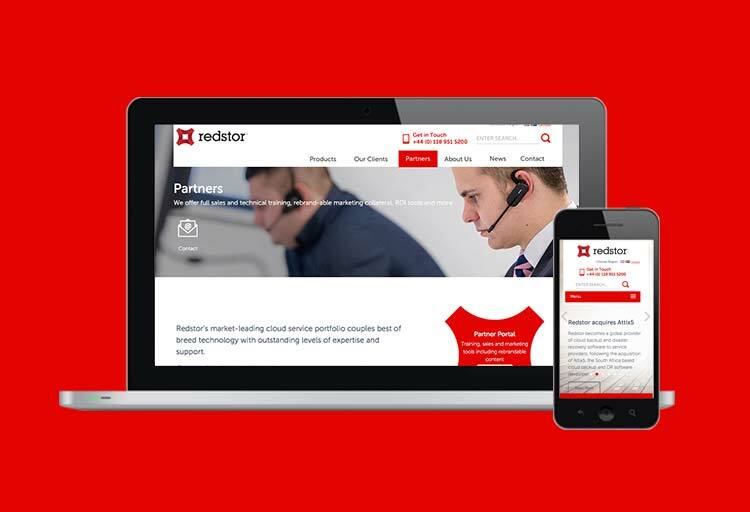 Redstor contacted after researching concrete5 specialists who could help them support an existing concrete5 website. They needed an upgrade to allow them to better support their international markets. We added SEO for concrete5 and multilingual capacities. Working with their Marketing Manager these modifications and new facilities allowed them to improve their search engine ranking. The CSS fixes paved way to improved accessibility to content which allowed users to immediately locate them in the internet. As a result, there was an increase in site visits that translated to more inquiries and clients. We also added a geo-ip content tagging feature to give focused engagement with their target geographic markets.